29 July 2017, at 12:00a.m. The influenza virus type A H9N2 is a low pathogenic strain of avian influenza which has been isolated in different Middle East countries since 1995. Although H9N2 is a virus of low pathogenicity, clinical signs have been reported in the field and they can be devastating to poultry, especially broilers. 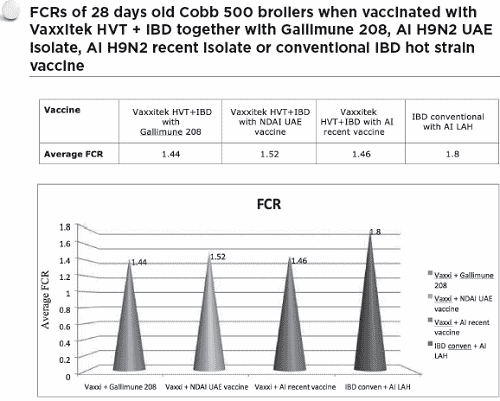 Our field experience with various inactivated H9N2 vaccines from different isolates shows that they vary in both induced immunogenic response and impact on production parameters (total losses, FCR and downgrading of final product), which range from moderate to severe depending upon the level of biosecurity in each production unit. Gallimune 208 ND + Flu H9 M.E. has been used since 2013 in the Emirates Modern Poultry Co. (EMPCo.) 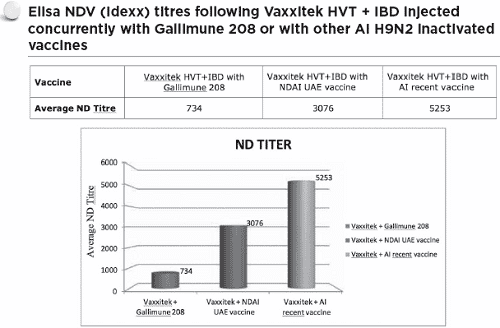 Dubai, after unsatisfactory results from other inactivated AI H9N2 vaccines originating from various Middle East countries. 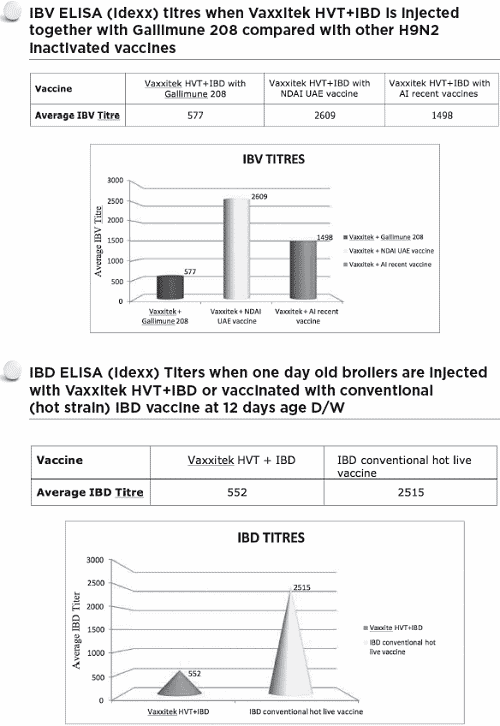 The good immunogenic response experienced when using Gallimune 208 may has been due to the strong immunogenicity of Gallimune 208 in combination with the concurrent use of Vaxxitek HVT +IBD to control IBD, ultimately boosting the immune system in general. 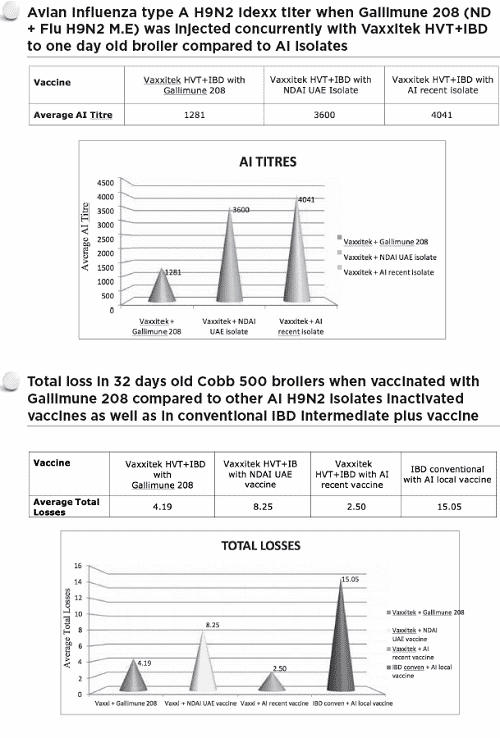 This is reflected by post-vaccination Idexx ND and IBV ELISA titres as well as improved FCR and reduced total losses of Cobb 500 broilers raised in EMPCo.